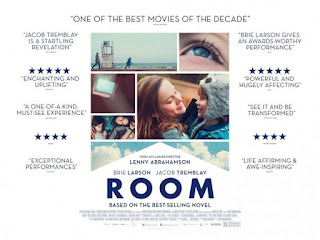 The less you know about 'Room' (★★★★, 8/10), the better. Admittedly, director Lenny Abrahamson disagrees, hence the film's publicity (although not the video posted below) revealing significant plot details. However, we'll let you make the decision to investigate further or not. 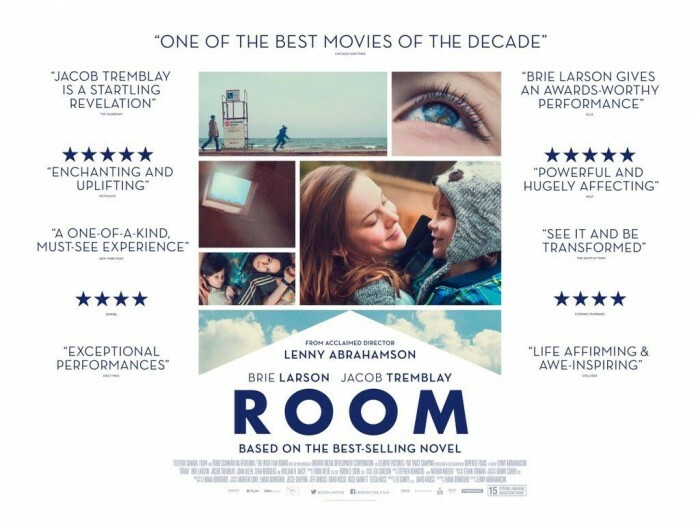 'Room' explores a mother-son relationship that has developed in unusual circumstances, within the confines of a tiny room - effectively in captivity. Indeed, the confined location gives the film an immersive atmosphere that few others can match. Brie Larson solidifies the big screen dramatic acting chops she demonstrated so well in 'Short Term 12', and Jacob Tremblay is a youthful revelation. 'The Assassin' (★) had been talked up as a contender for the Best Foreign Language Film, with Hou Hsiao-hsien picking up the Best Director award at last year's Cannes Film Festival. The Academy voters ultimately chose not to nominate 'The Assassin' - perhaps feeling similarly to the several critics who fell asleep when I saw the film. Set in 8th century China, the film follows the quiet and deliberate actions of an assassin (Shu Qi) amid a visually striking palette. While the film may be a wonder to look at, the pacing is so achingly slow. It can only be advised that the most patient of viewers seek this out, when it crawls into UK cinemas on the 22nd. Unless you fancy a nap. Having been overlooked at the BAFTAs, '45 Years' Charlotte Rampling may have been pleasantly surprised to find herself with a Best Actress nod at the upcoming Oscars. The timing could hardly be better, with the relationship drama out this week on DVD/Blu-ray/VoD in the UK. Writer-director Andrew Haigh's bittersweet follow-up to the critically acclaimed 'Weekend' sees Rampling and her on-screen husband Tom Courtenay building up to their 45th wedding anniversary, only for troubling news to rear its head. Lol Crawley's somewhat bleak cinematography matches its Norfolk location but it is the work of Rampling and Courtenay that shine at the heart of '45 Years'. Their earnest and subtle performances mirror the sentiment of '45 Years', and although the fragility of their relationship feels a tad too forced at times, the sense of insecurity feels knowingly painful. In a heartbreaking double whammy, we lost both David Bowie and Alan Rickman this week. Rickman was a stalwart of the film world, but Bowie's presence is perhaps a little less known - we prescribe a double bill of 'The Prestige' followed by 'Galaxy Quest' to remember both names in suitable fashion. ICYMI, Lauren FG listed her best ten films of 2015, which saw 'Carol' and 'Crimson Peak' battle for the top slot. And finally, in a wonderfully nostalgic news, the BBC have announced that they are bringing back 'Robot Wars'. ACTIVATE.